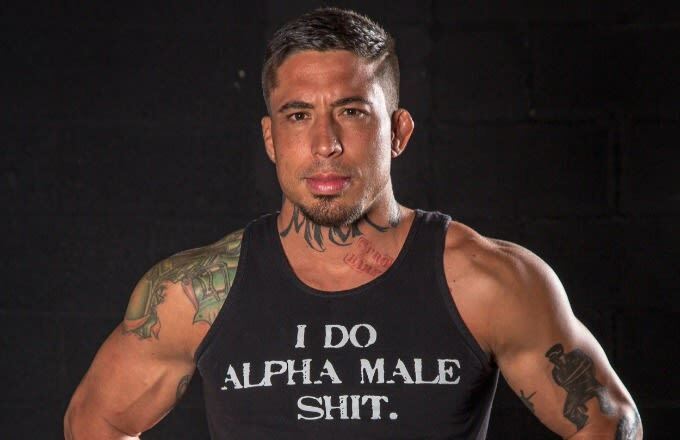 On October 17, former MMA fighter War Machine will be tried in Las Vegas for 32 felony charges currently weighed against him, including offenses such as attempted murder, kidnapping, and sexual assault. The charges stem War Machine&apos;s alleged beating of his ex-girlfriend Christy Mack. Today, while sitting in Vegas&apos; Clark County Detention Center, the fighter somehow found a way to return to his Twitter account and send out a couple tweets concerning the Mack case. Sending out two poems and a Nietzsche quote, War Machine&apos;s dispatches were strange and mostly unsavory. Yes, I&apos;m that bored. Hope you enjoyed the attempt at levity (at my expense) in the first 2 lines...FML. I can&apos;t even hide it. War Machine&apos;s grabs for sympathy are terribly misguided considering the allegations currently against him. Talking about pain, abuse, and the desire for "outside" pain, are jarringly tasteless when we remind ourselves of the damage Christy Mack allegedly suffered at War Machine&apos;s hands. This is garbage, and so is War Machine, and so is his poetry.